An all levels class that incorporates poses, breathing techniques and meditation with the goal of bringing a sound, healthy body and a clear, peaceful mind. 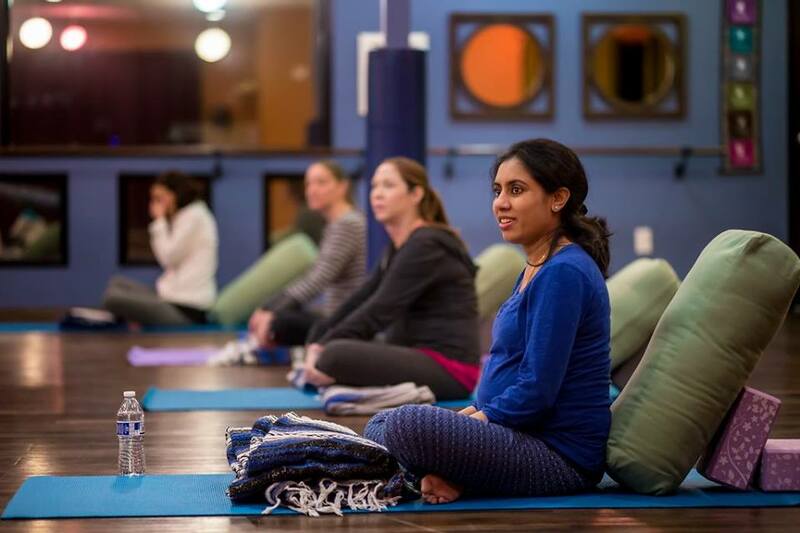 An energetic and dynamic yoga class where students fluidly move from one pose to the next, connecting breathing and movement. A faster paced class that can be modified for all levels. A gentle practice to help the mind and body develop calmness and awareness.The use of props and postures held for longer periods of time help initiate deep relaxation of the body, mind and spirit. Great complement to balance a more active practice or decompress after a stressful day. Prenatal Yoga is safe for any trimester, and perfect for any level of yoga experience from raw beginner onward. In each class, you will be led step by step through therapeutic postures and alignment that will help you stabilize your joints, connect to your core and to your baby, and find support, guidance, and inspiration for enjoying your journey and becoming the mom you want to be! 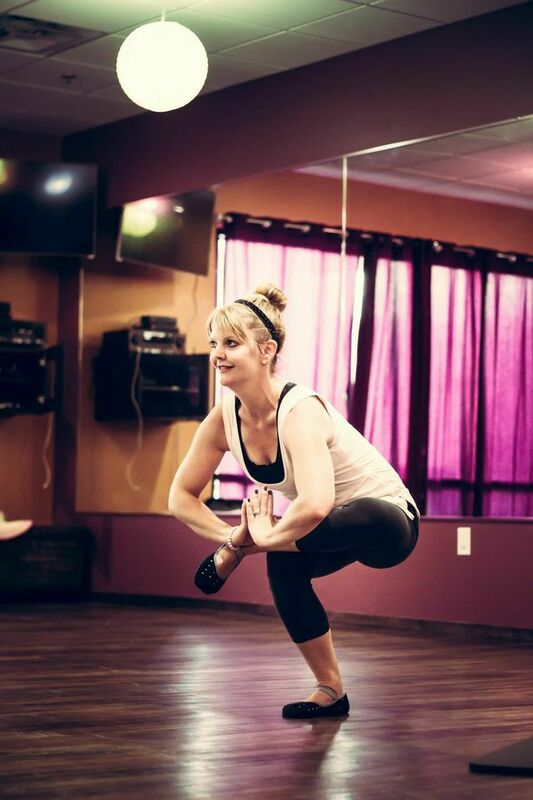 The Barre class at Let's Grow Studio is a unique, high energy/low impact exercise class that combines barre work and light weights with continual fat burning motion. Central to the workout are toning and resistance exercises for the glutes, legs, torso and arms to sculpt muscles and elongate the appearance of your body. POP Pilates® was developed by the #1 fitness instructor on YouTube, Cassey Ho of Blogilates. Cassey has changed the way people think about health and fitness by turning it into a movement based on passion and empowerment. Over 3 million fans all over the world have transformed their bodies and their lives simply by following YouTube videos at home. Now, we’re on a journey to take this virtual phenomenon and turn it into a real live group exercise in-studio experience. LIFT is an entire body workout using light to moderate weights. Science proves that strength training is essential for a lean and tight physique. This class will work all muscle groups in a fun way using music to motivate and drive you through each set. Our “Grow with Yoga” classes introduce children to the practice of Yoga in a fun and playful way. 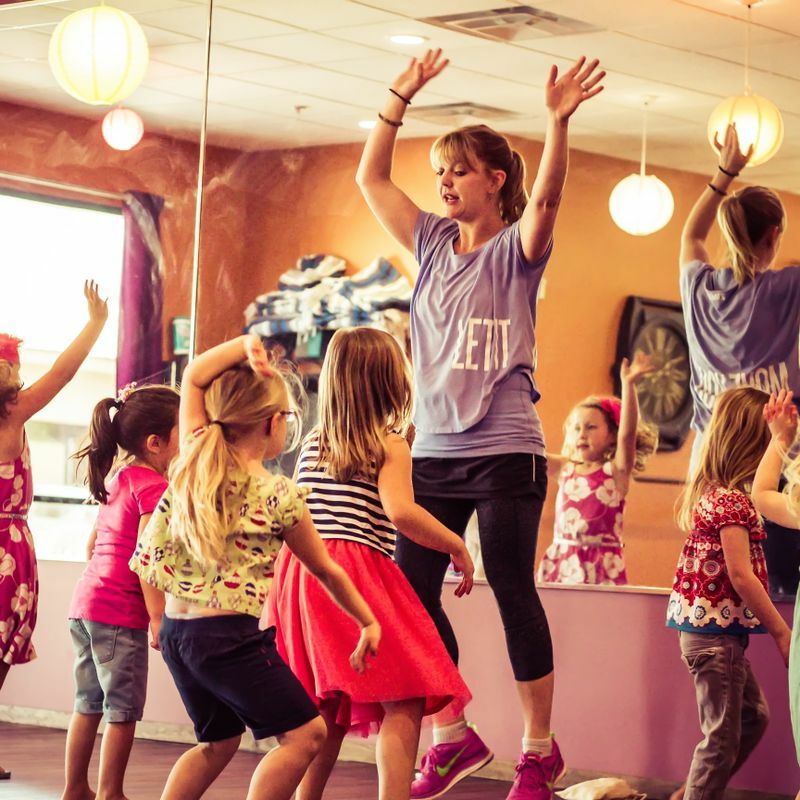 With the use of different themes, we create fun classes that explore Yoga poses through games, music, props, art, and books. With regular practice, children’s muscles, bones, and joints will lengthen and strengthen as their overall flexibility is improved. In addition, all of children’s major bodily systems are supported by movement and improved circulation, including the digestive, endocrine, immune, and respiratory systems. Yoga strengthens your child’s entire body! Classes for ages 2.5 - 5. Mom Yoga + Baby is a super fun, small, friendly class where mama gets to start getting her body back in between feeds and changes. Come do what you can and enjoy some time with your breath, your baby and other moms. Babies are welcome as early as your doctor gives the ok to exercise. You will leave feeling SO much better than when you came – you deserve it! Yoga class - includes chat, changing, and feeding time whenever you and baby choose! Drop by and get your body feeling great again, mama!